In this interesting article at America Today, Mark Vogl expresses some of the frustrations Palinistas are feeling right now. I am not convinced on Romney even today. Rubio, Christi, etc are NOT proven leaders or conservatives, Sarah is…and Christian! Romney and his boys think the race is over. But for me, a conservative, I have no reason to vote for Romney except Obama. But Romney is gonna move left, and I won’t follow him. Sure wish there was a third candidate, or a write in effort for Sarah! Things are so wrong in America. It’s not just Obama Care or trillions in deficit. 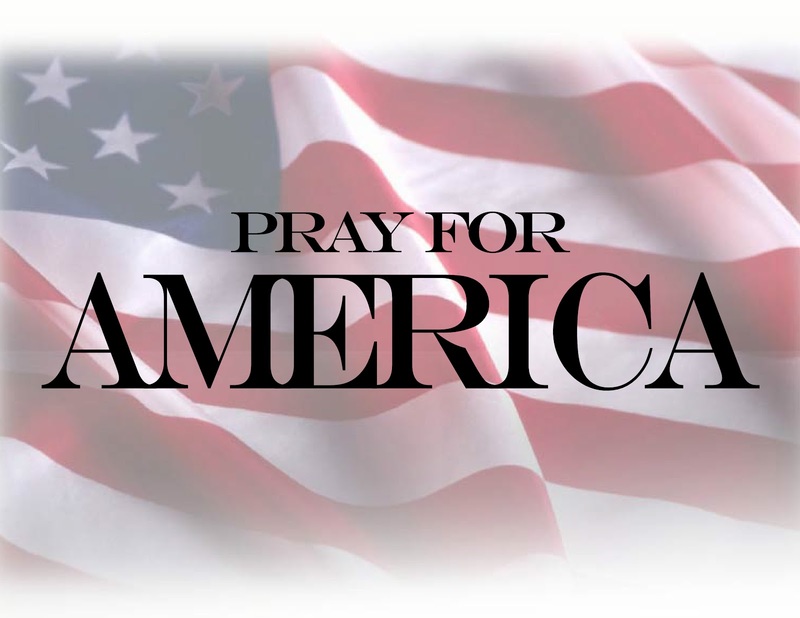 It is we are going in the wrong direction, and we think of America wrongly. We ARE NOT the leader of the free worldanymore. America First should be the center piece of the GOP platform. We need to set goals of self-sustainment in energy, food, manufacturing, controlling our borders, limiting the UN to a global discussing group. There is alot that needs to be done, and Romney is just not well rounded enough. not conservative enough, not American enough. Sarah Palin is. She is all we need. She should be our nominee, she should be our President! But if not, then chose her to serve one heart beat away! Obama’s abandonment of the Democrat in Wisconsin will help split the Democrats. So the neo conservatives probably figure that helps Romney. But what if there was a third party candidate. What if Sarah ran? I know where I would be. Wonder what polls would say about how many Americans are disastisfied with the current choices. Paul’s fanatics, where will they go if Paul goes back to Texas and sits on his porch? Some GOP strategists are floating Rubio to try to go after the Latin votes, they are over reaching. They dont have the conservatives! Romney has not won my vote. Sarah has my vote. There’s alot going on, alot to think about. But for me, I did not vote for George Bush whenPat Buchanan was an alternative. I did not vote for John McCain,even though I wanted tovote for Sarah, did a write in vote. If you think conservatives have to vote for Romney, you don’t understand who conservatives are. Sarah does. It’s a long way to November. Alot can happen. If you feel you can take conservatives for granted today, well okay, but like I said, November is a long way off. Seeing Governor Palin on Greta Tuesday night was bittersweet. It’s always enlightening to hear her weigh in on what’s going on. That’s the sweet part. Not only does she possess a keen awareness of the world’s happenings, but she’s the only person I can think of who expresses her views with naked honesty and boldness. That is, without a doubt, a quality that is most refreshing these days–and very much needed. When I consider that quality, I can understand why the Governor would choose to keep her freedom to be that honest and bold by remaining outside the established political battle. No shackles, no PC police, no anything that would get in the way of her doing what she is wont to do: calling it like she sees it. I almost feel the liberation right along with her. Having said that, what I feel just as much–if not more–is an incredible sense of loss at this liberation. I cannot help but think about what could have been. That, of course, is the bitter aspect of this whole thing. This sense of loss intensified as I watched the Nevada GOP Debate. I’ve heard many people speak ill of presidential debates, some calling them a complete waste of time. I don’t share that sentiment, but I’m admittedly a bit of a junkie when it comes to these things. I actually look forward to the debates. Prior to October 5th, I watched them with anticipation of the day Governor Palin would also stand behind one of those podiums or sit around a table and shine as she provided real solutions to real problems facing Americans. I longed for her unique ability to rise above the incredibly childish, shoulder-touching, eye-rolling, and neck-popping bickering we saw Tuesday night, behavior Romney and Perry displayed for all the country to see. Yep, just what we look for in potential leaders of the free world. They attempted to convince us they can preside over weighty domestic and foreign affairs, but they couldn’t even manage a debate without speaking over each other, pointing fingers, and insulting one another. I would have loved to see Governor Palin put these two in Time Out with a gentle chastisement, much like she issued during her 2006 Alaska gubernatorial debate when she told the bickering boys, “We owe Alaskans a better discourse than this.” Substitute “Alaskans” for “Americans” and the chastisement would have still applied Tuesday. “We don’t want to hear the engagement of the nitpicking and the bickering because that just plays right on into the left handbook as they get ready for the general election debates,” Palin said. I look forward to what she’ll add to these debates. Not only is she solid on the issues, but she can articulate her stand on these issues based on intelligence, experience, and common sense. I look forward to someone who will cut through the bull, call a spade a spade, challenge candidates on their records, spotlight her own, and revitalize the American people. Well, it doesn’t appear to be as I had hoped, at least not as of today, but it’s far from over. The beat goes on, as they say. I had this same sense the night of November 4, 2008, as I stood in my living room staring at the television. As tears streamed down my face at the realization that the McCain-Palin team was not going to pull it off, I opened my mouth and said, “It’s not over for Sarah Palin.” I had not thought about the words before I uttered them; they just came out. After hearing them, I knew deep down that what I had said was the truth, though I had not spent time considering the possibilities that existed, and I had heard no talk of a possible 2012 presidential run until the following day. Yet somewhere within, I knew the plan was larger, greater, and incomplete. Time proved those words correct, of course. What she has accomplished since her VP run has shown that, while a title is indeed needed to usher in certain types of change, it absolutely is not needed to make a difference. We know this to be true because we know she has made a difference. 2010 remains a testimony of what a difference she has made, and that’s just a portion of her impact as a private citizen. Her refusal to sit down and shut up has caused her detractors to fear her while inspiring her supporters to fight alongside her. Nonetheless, the title of President of the United States would be ideal, and many are still holding on to hope. I know there are movements to encourage Governor Palin to reconsider, there are those who want to be the 10.3 earthquake she said it would take to get her to change her mind, and speculations exist that she might take a very unconventional path. I’ve theorized as much myself. Nonetheless, if we know anything about Governor Palin, we know she seeks God for direction, moves only as she feels led, and always considers the impact on her family. I have no doubt that if she felt those three things directed her to jump in, she would, and I also have no doubt that if they never do, she never will. That, of course, is not news to those who know how she’s wired. Time will tell how all this unfolds. So what now? One thing that God put on my heart in 2008 after Senator McCain tapped her to be his running mate was how her story was a simple one. By simple I mean she and her family were just regular, everyday, Walmart shopping, hardworking Americans. She was busy raising her family, serving her state, and loving her God. As she just did what she did–not beating down doors to force something to happen–the door of opportunity presented itself and stood before her. It was a classic example of what the Governor calls preparation meeting opportunity. It reminds me of the biblical account of Ruth meeting Boaz. Ruth’s first encounter with him was not the result of her looking for a husband. She was there only to glean in the field. As she simply did what she had to do, as she took care of her business, her destiny presented itself before her; Boaz took note of her. She then took it from there. Governor Palin, too, was faithful in what we call the little things, though her roles as wife, mom, and governor were anything but little, and she had accomplished great things throughout the entirety of her career in public service. As she committed herself to being faithful in what was before her, a new opportunity stood before her the summer of 2008–one that would change not only her life, but the lives of those who have been inspired by her. This brings me to my point. What was impressed upon my heart three years ago was that what God did for her is what He wants to do for us. We all have a destiny, a place prepared for us just waiting for us to arrive–not out of a lust for power but out of a determination to make a difference and fulfill our own purpose. Governor Palin’s purpose has still not been fully accomplished; it’s still being lived out daily and is still unfolding. We must be sure not to stargaze, as they say, but to move forward in that same spirit. God has used her to influence and motivate a multitude. How many people would have never become engaged in what’s going on in this country had she not stepped on the scene? How many would have never entered the fight for the future of America, whether through local organization involvement, writing, speaking, or advocating, if we didn’t see ourselves in her and realize that we, too, have a part to play? Like so many others, I want to hear that Governor Palin has decided to jump in this thing, seek that title she believes she doesn’t need, and lead this country forward. We may feel like we don’t know for sure which path she’ll take, but we do know what she’s said. Even after working so hard for three years in hopes of a Palin 2012 presidential run, I still take heart whether she ever gets in or stays out. The thought of her staying out is indeed most bitter–still. Even so, it’s not over for her. I know that with the same certainty that I knew it in November of 2008. But this time, I know something else. It’s not over for we, her supporters, either. There’s something each of us can do to carry on what she has inspired within us. Some of us, for the first time, found sound upon opening our mouths when we discovered the Governor of Alaska and recognized that there was something worth speaking up for. We were meant to be more than an echo, however. We were meant to be a voice. Whether Governor Palin makes her headquarters in Washington, D.C. or remains in Wasilla, AK as she fights for common sense conservatism, she will continue what she has begun. We must continue what we have begun, too. Each of us can make our mark on this country. The Governor may very well don the title of President of the United States some day, and there may be a title or two some of us will don, as well. On the other hand, moving forward, she and we may never be crowned with a title at all. We’ll know more soon enough, but for now let us be inspired as we continue to do what we can to advance the cause of liberty, support Governor Palin’s ongoing efforts to restore America, and fulfill our own destinies. 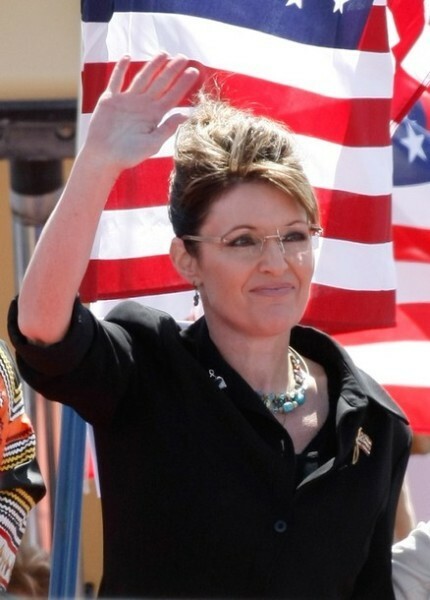 Governor Palin announced on Mark Levin’s radio show today that she is not running for President in 2012. I might say more tomorrow, but tonight I am going to keep this short and simply say that I respect her decision. I wanted her to run, expected her to run, and believe she would have won had she run. Having said that, she never promised us any such thing. She always said she didn’t need a title to effect change. She has maintained throughout that she was still praying about it. And she has said countless times that this was not about her. We the people wanted her to run and we the people encouraged her to do so. Am I happy with her decision? No. But again, I respect it. I don’t know which road Governor Palin will take in all this, but I am certain of this one thing: wherever the road leads her, she’ll find me still walking beside her when she arrives. I meant it then, and I mean it now. Click here to listen to the interview with Mark Levin. The internet was abuzz yesterday with a story published by Politico that a law firm associated with SarahPACwas making inquiries about filing deadlines with states that have early primaries. Palin has said on numerous occasions that she is still considering a run for the presidency and this was again confirmed during her September 27th interview with Greta Van Susteren.. 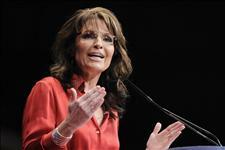 Governor Palin tells her supporters to “keep your powder dry”. In other words, be alert and be prepared at all times. Are you ready? Ken Vogel and I both have sources telling us that calls were made on behalf of a mystery candidate to various early states to determine presidential filing deadlines. The calls were made by representatives of the law firm Baker Hostetler – a firm that employs lawyer Mark Braden, who represents Sarah PAC, her political action committee.